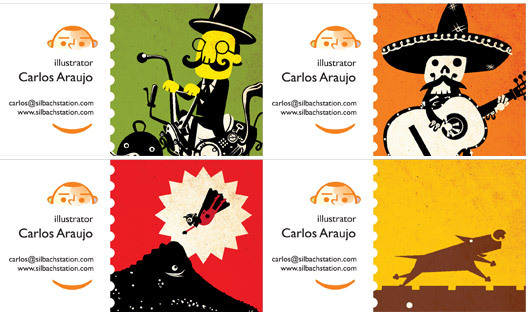 Carlos Araujo Ilustrador | Illustrator: Business Cards Cornucopia! Meus cartões com 4 tipos diferentes: Bird-Bike, Mariachis Muertos, Super-Herói e Cachorro. 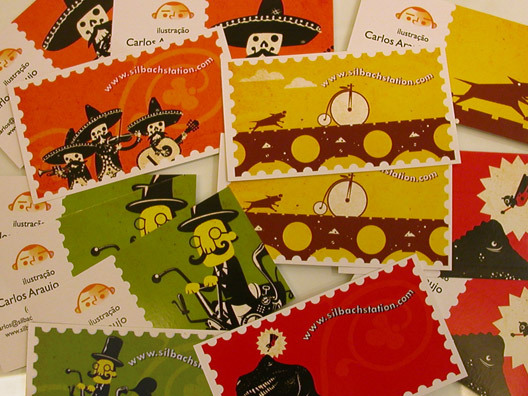 Business cards in 4 different types: Bird-Bike, Dead Mariachis, Super Hero and Mutt. Você sabia? O paper toy "Dentuço" segura cartões... Clique aqui! Did you know? My "Buck Tooth Car" paper toy can hold a card for you... Click here!